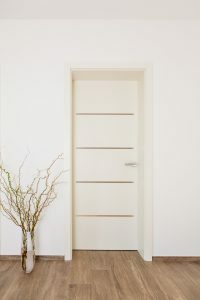 When you’re furnishing or remodelling your home, you have to keep in mind that the doors complement the overall image of the house. 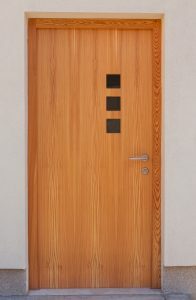 Also they express your personal style and individual lifestyle. 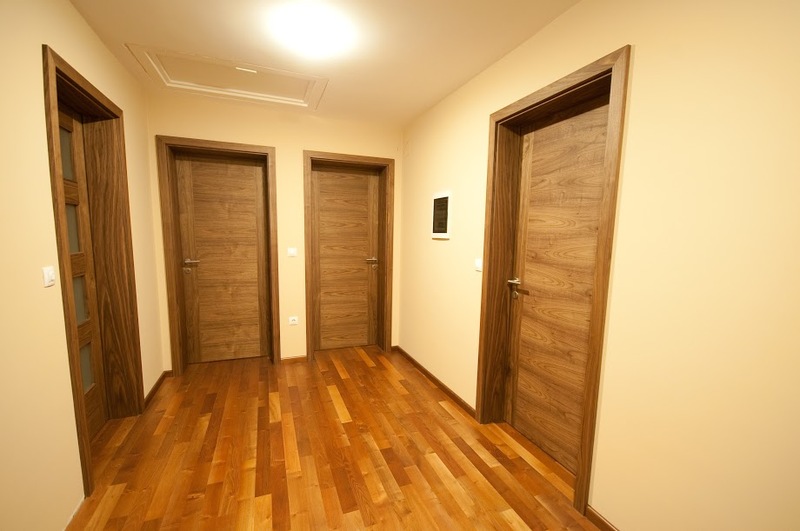 Pay attention to compatibility with other furniture and the colour scheme. 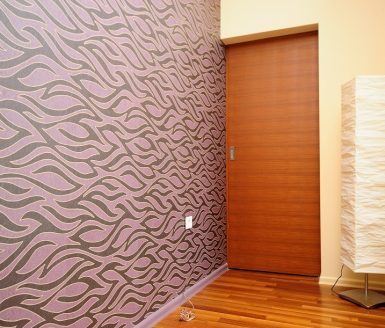 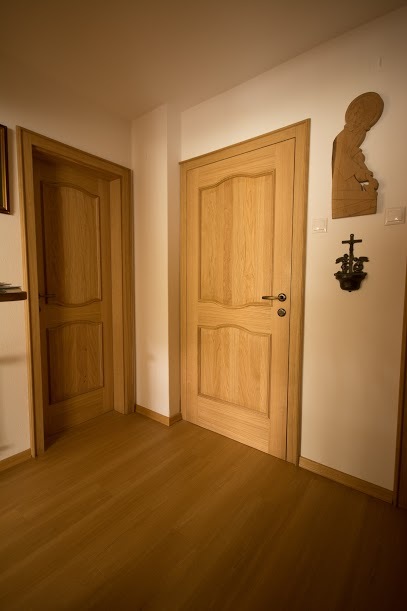 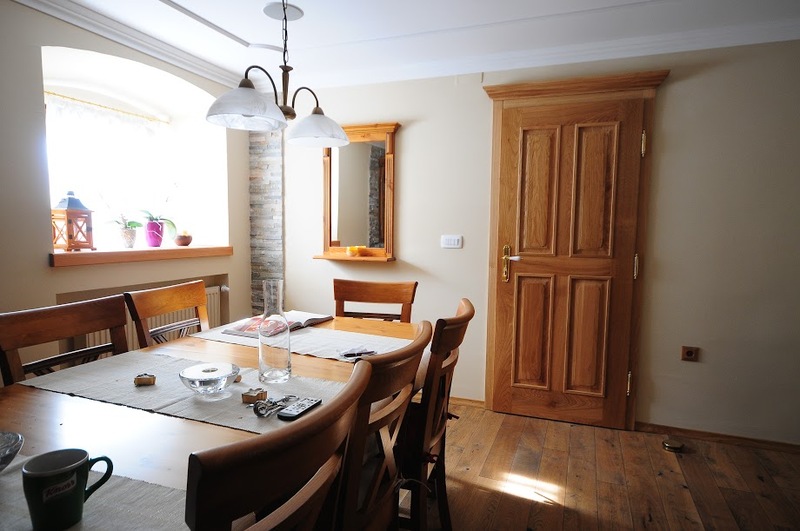 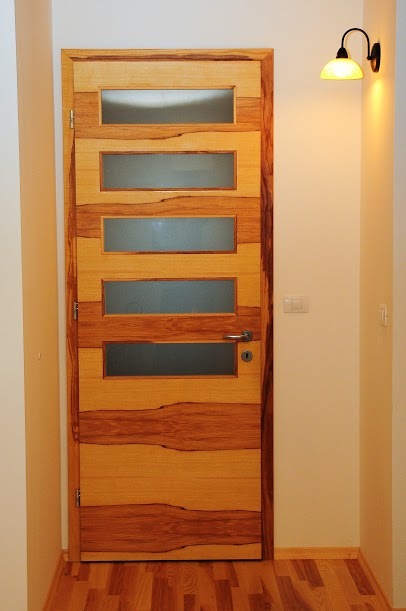 The doors are an important element that gives the space that homely touch. 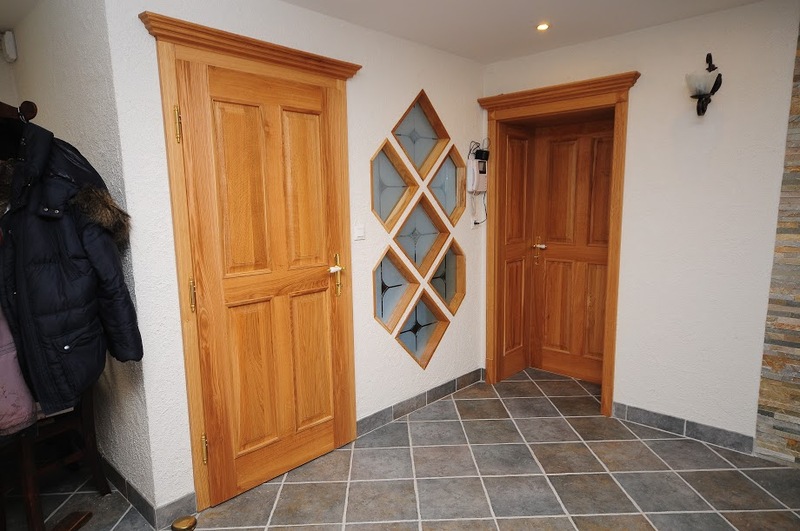 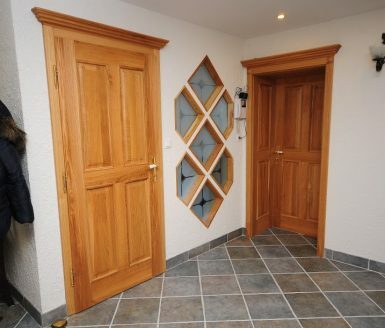 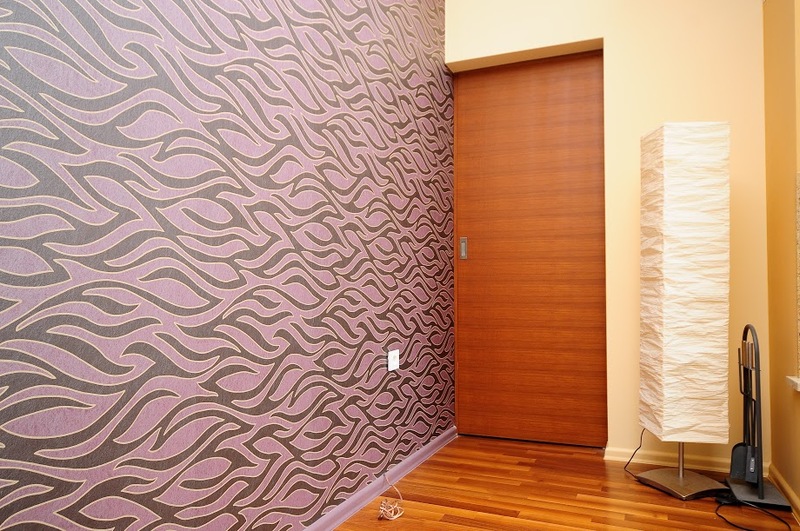 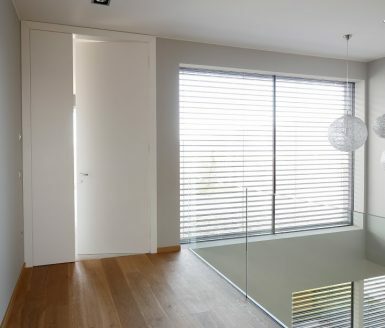 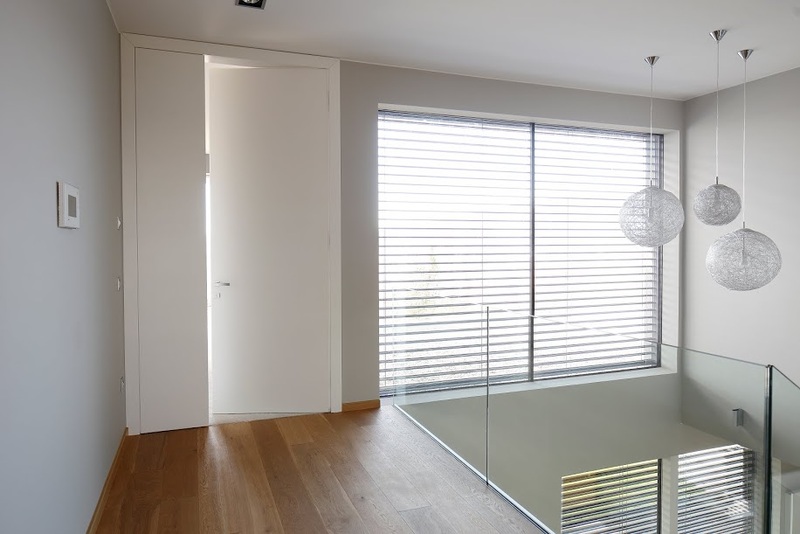 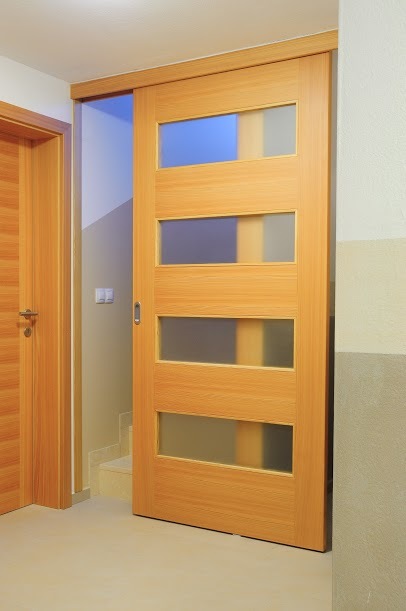 Take a look at our collection of interior, outside and inline doors. 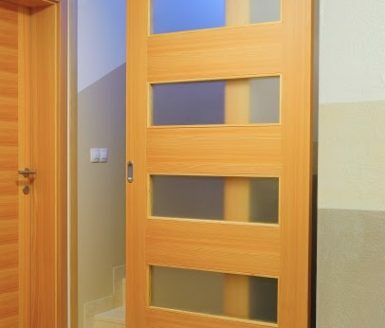 All door and frames are basically made of fiber boards, which are incomparably better choice than chipboard – they are most resistant to impacts and moisture. 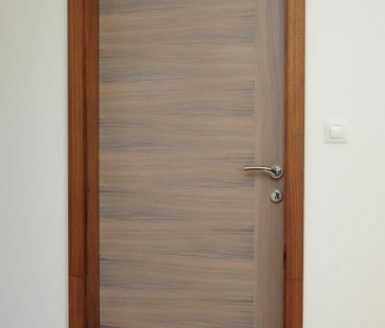 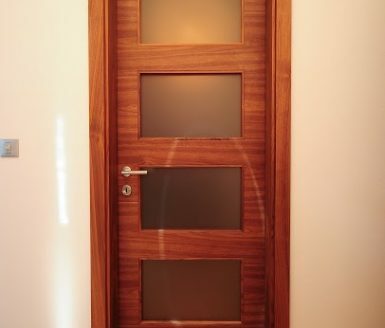 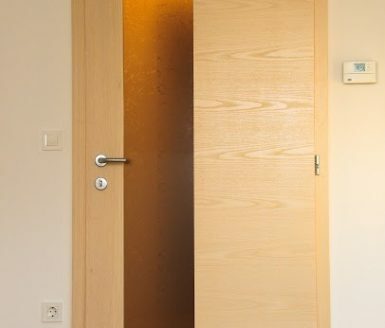 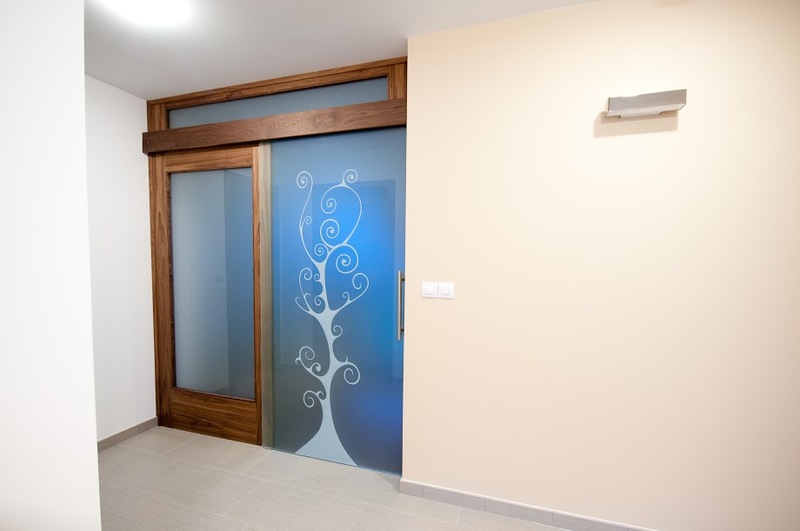 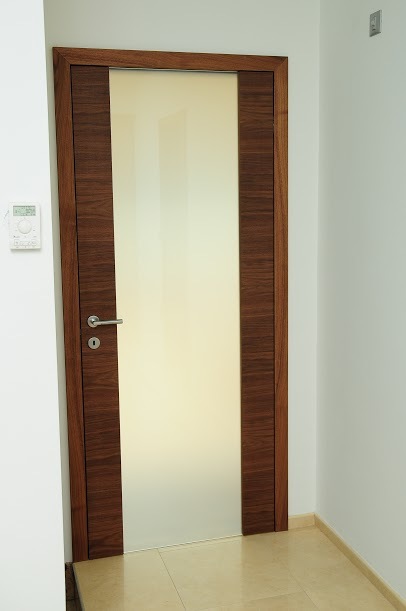 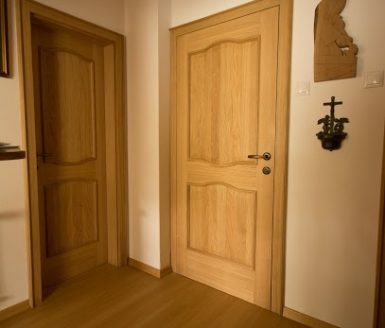 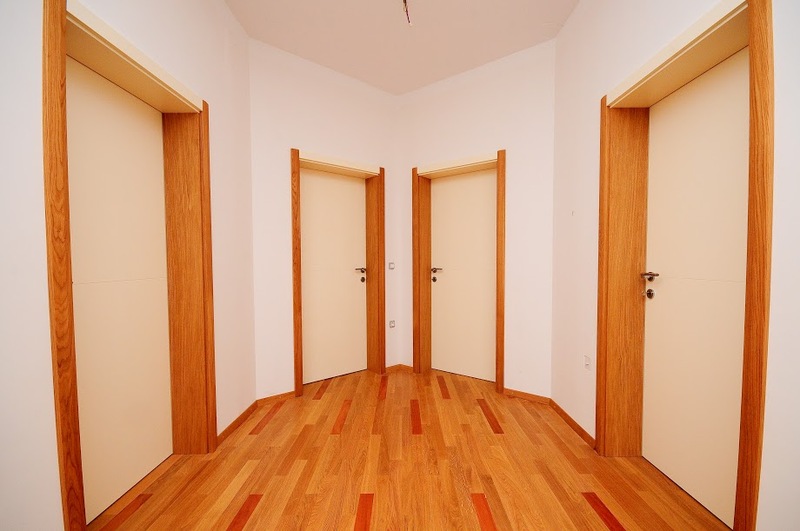 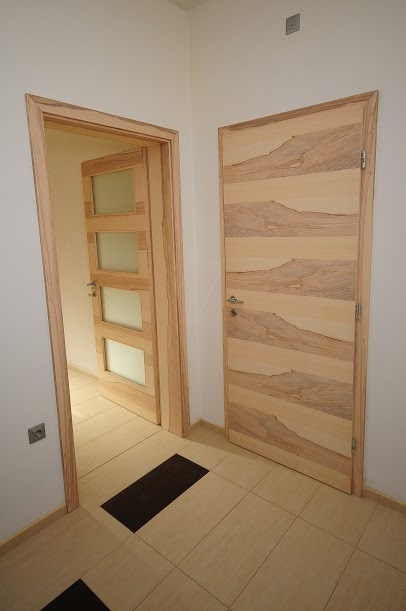 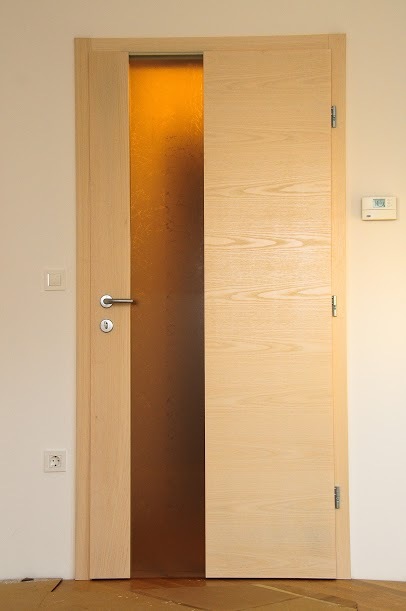 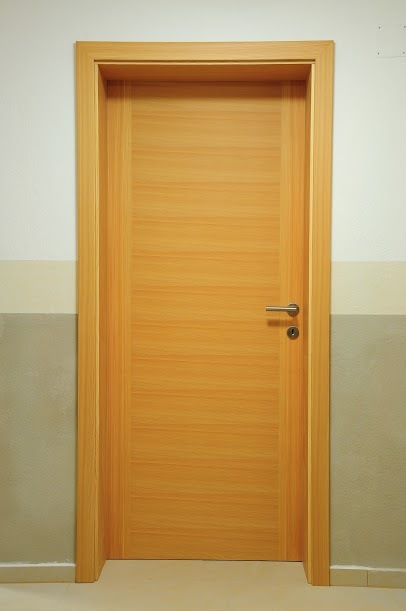 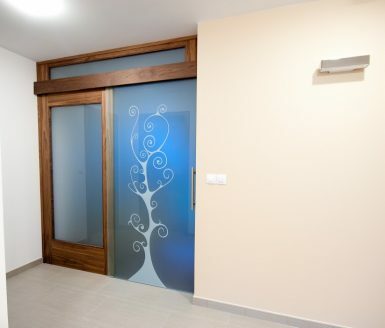 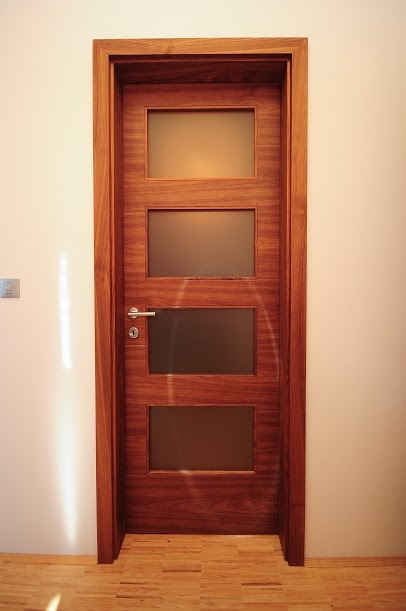 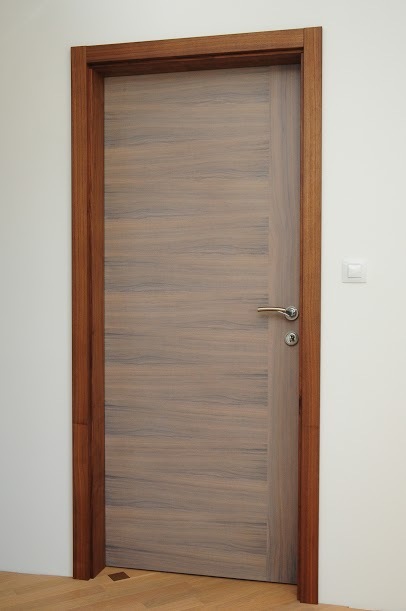 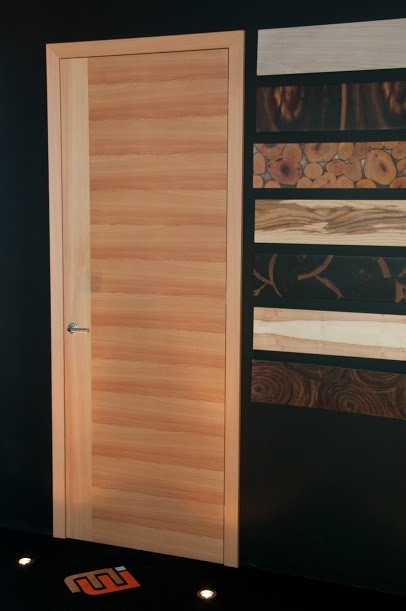 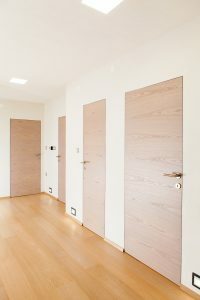 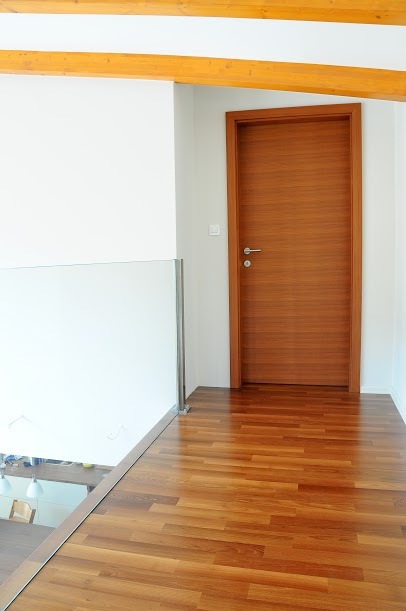 You can choose between different types of door manufacturing: solid wood doors, veneered doors, doors with glass, metal or stainless steel accessories, or combine with veneer and varnishing. 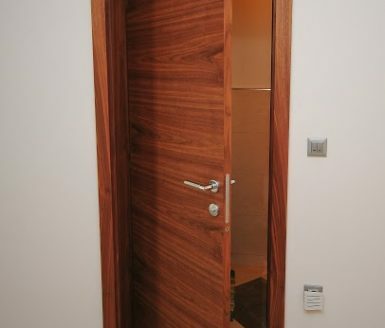 You can choose hidden or visible door hinges, which are 3D adjustable. 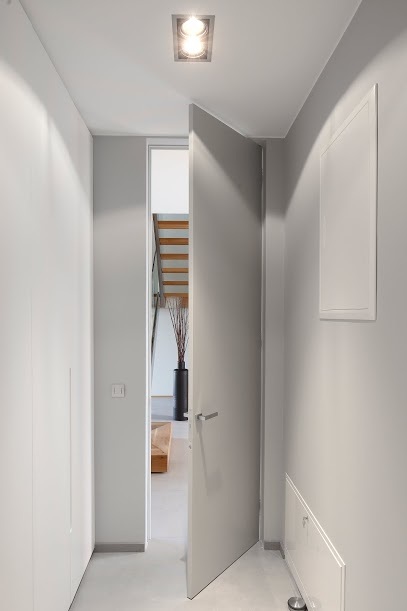 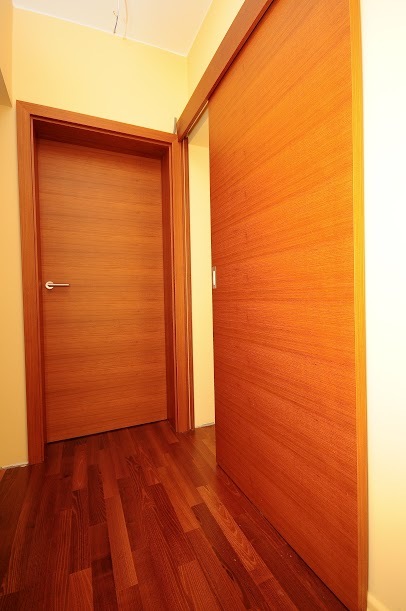 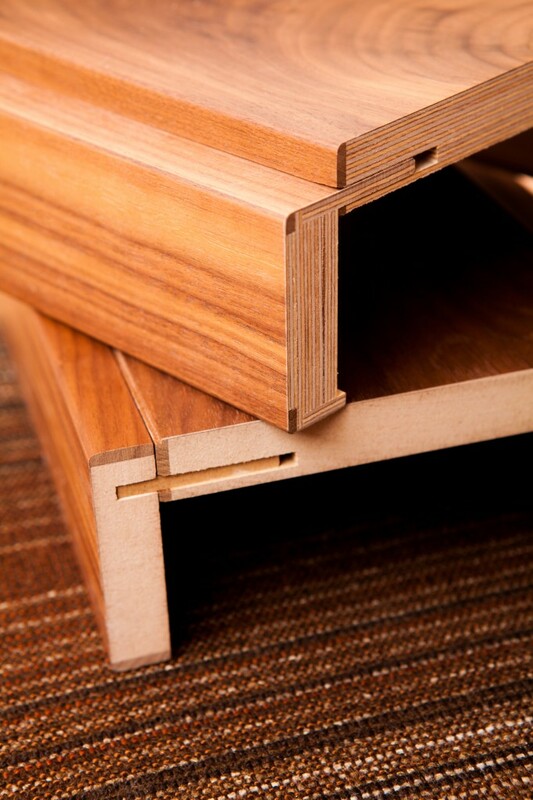 Base of internal doors are made with MDF fibers, which is significantly more compact and quality. 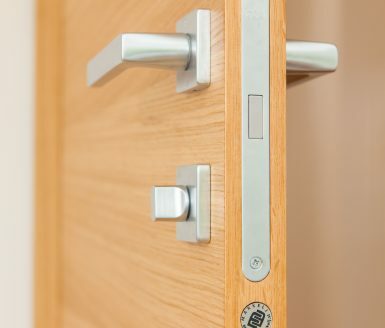 We protect the edges of the doors, frame and lining with massive labels of the selected type, which has a series of slightly rounded edge R2mm – soft R. The door surface is treated with varnishes and oils minimum in three coats. 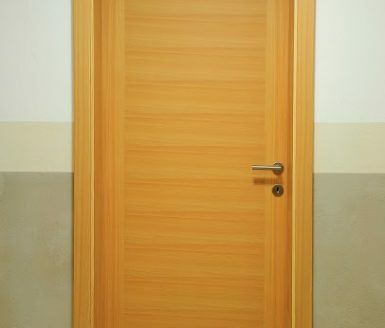 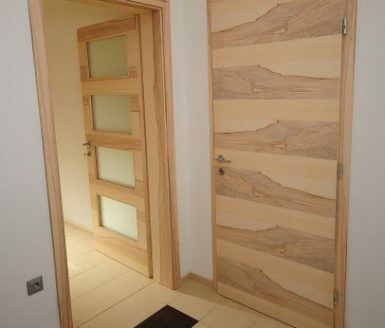 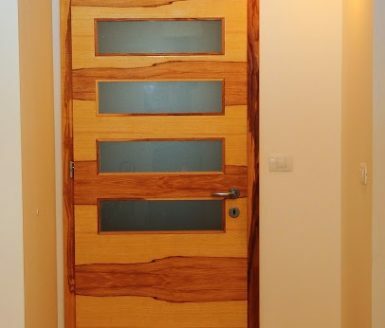 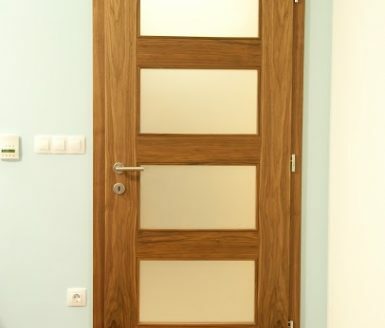 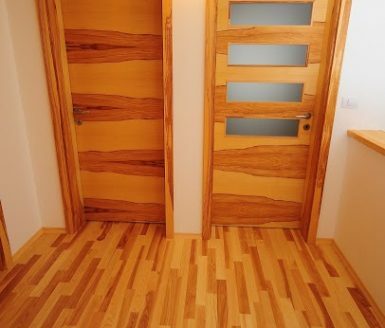 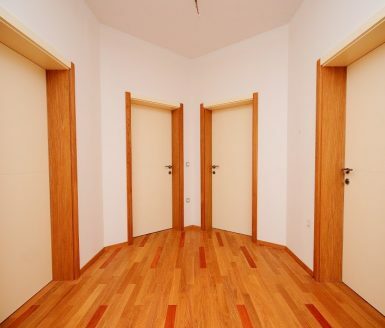 The best selling interior doors are based on fibreboard and MDF panel, they are highly resistant to moisture impacts. 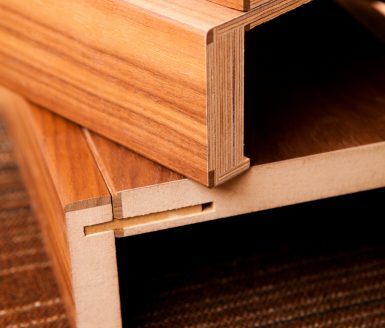 The edges are protected by massive labels 5mm thick, slightly rounded R2. 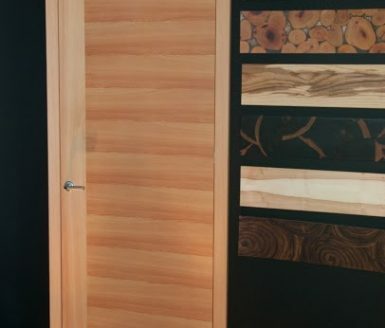 Which can also be restored in the event of injuries – other manufacturers tend to adhere thin-layer veneer on the edges, which can not be easily retrieved after damage, and the damage usually remains visible. 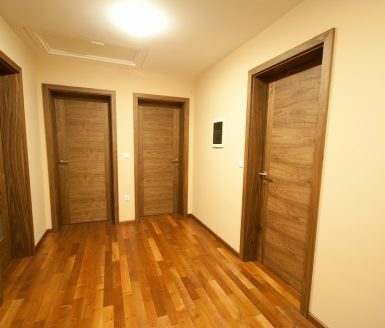 MDF fiber boards are made up on thin wooden fibers that are well-connected and long several centimeters. 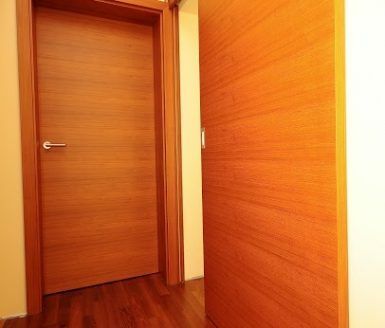 Particleboards are composed of waste cellulose wood, crushed to 8 mm long chips which are merged. 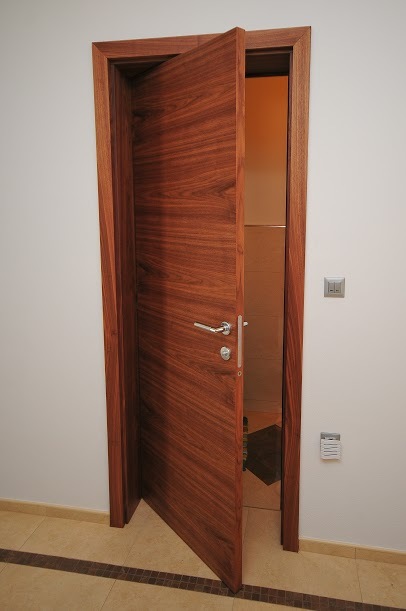 We do not manufactured doors made by particleboards because of poor quality base. 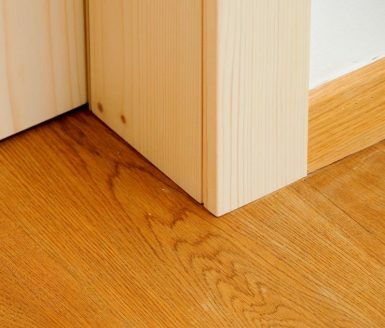 The difference in price between the particleboard and fiber base MDF is minimal, the quality and durability are incomparable. 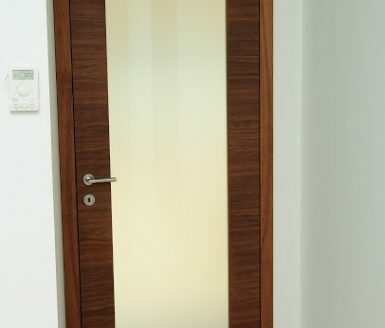 The simpler production of solid doors is made from a massive base, joinery plates, bonded with solid labels and thin layer of veneer. 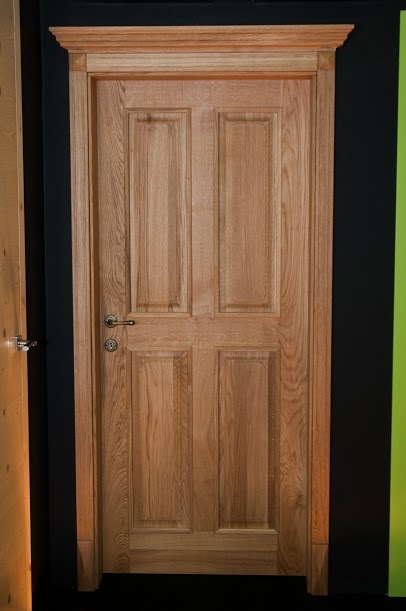 In the very core of the door frame and lining we use cheaper solid wood on the surface we use the most quality wood type. 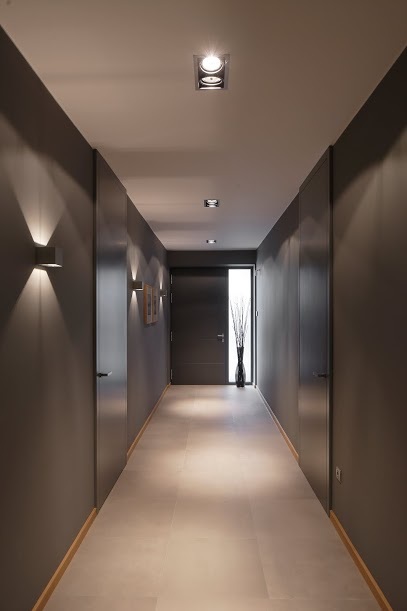 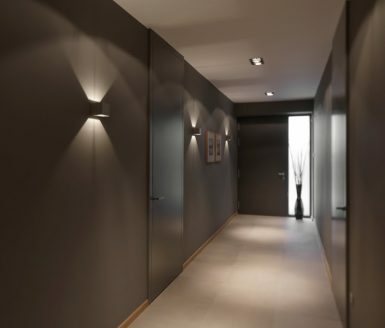 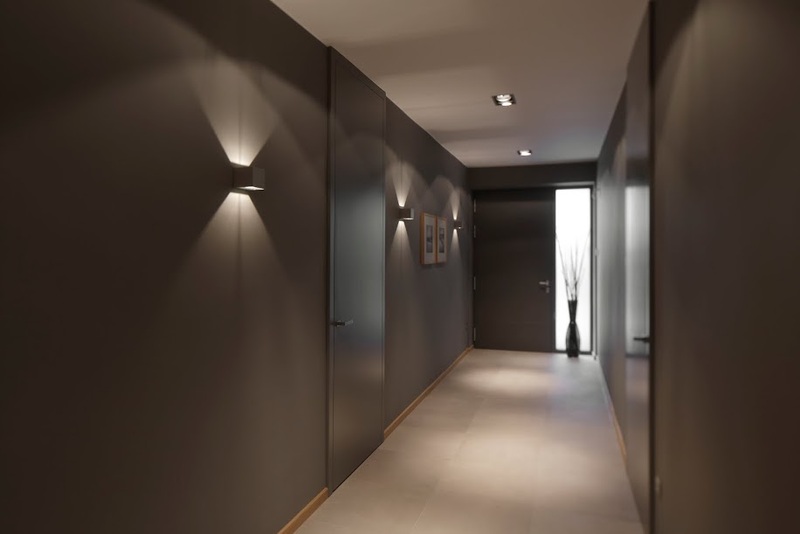 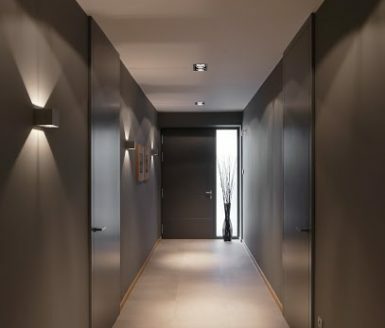 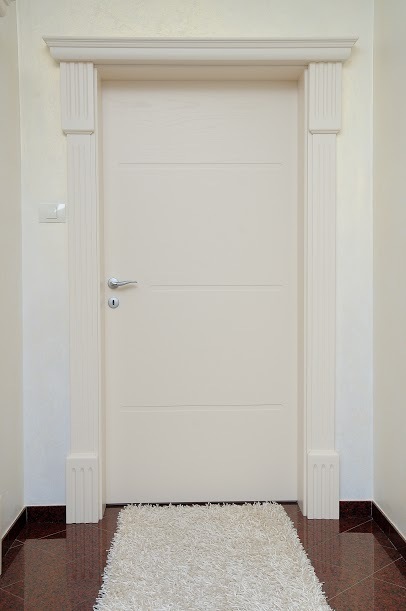 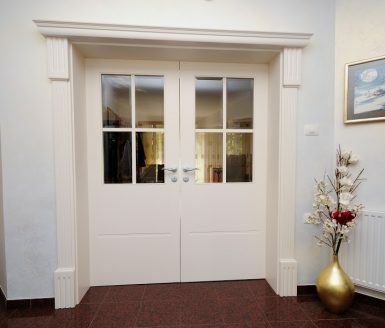 This kind of doors are suitable for basements of residential houses or for those who want to be absolutely sure of the strength and durability of the product. 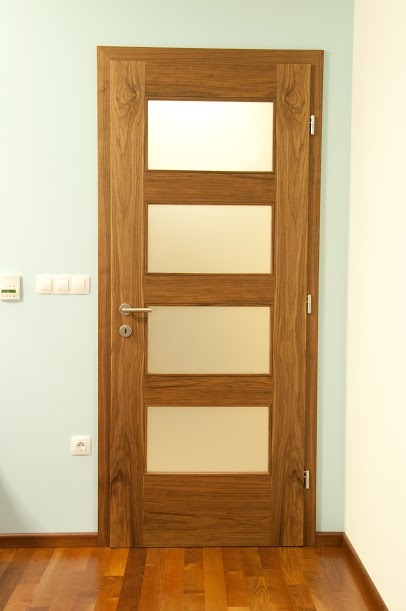 Fully designed solid wood doors of desired type of wood are of high quality and durable, they allow repairs in every area not just edges. 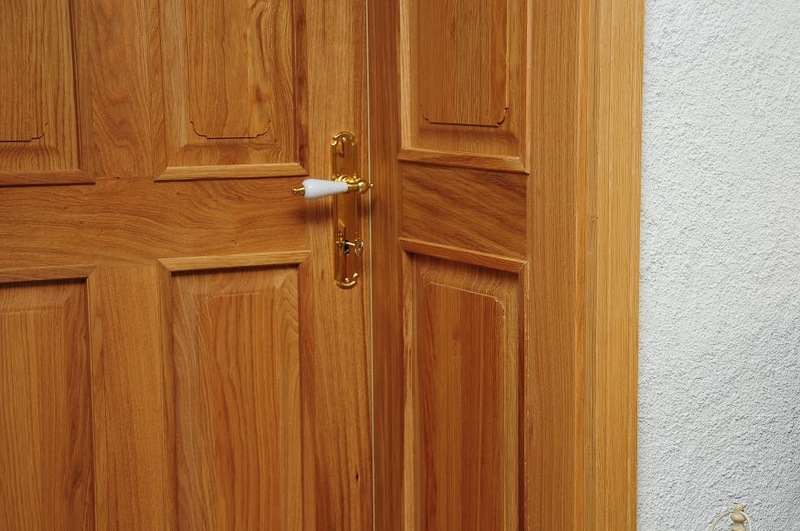 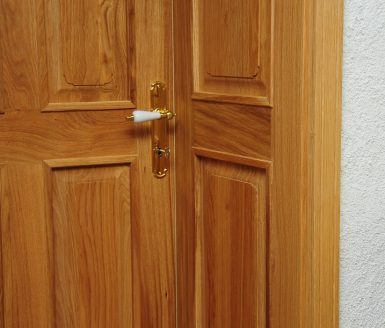 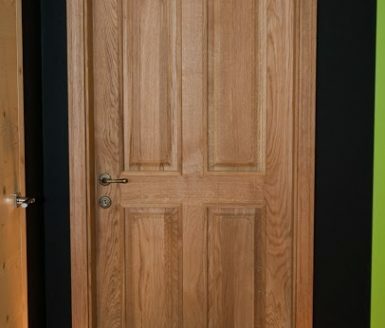 The door leaf is adhered to the system of gluing solid wood, which prevents the deformation on the door leaf – this allow for tight fitting to the seal for years after installation. 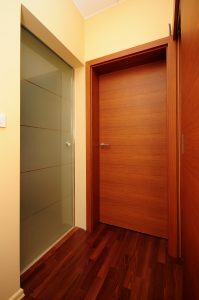 The completely solid interior doors are most often installed in momentous protected objects as required by the legislation. 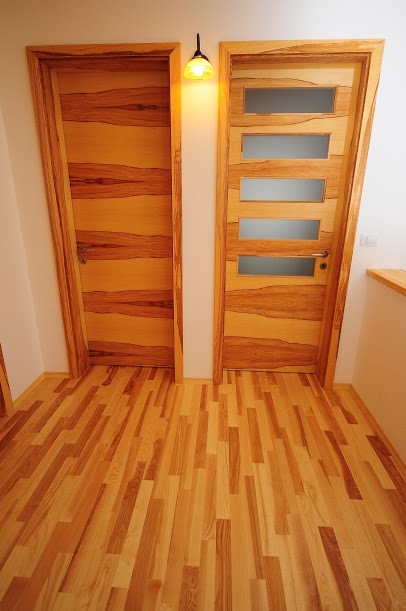 They are also suitable for basements and wine cellar where quality wood is necessary. 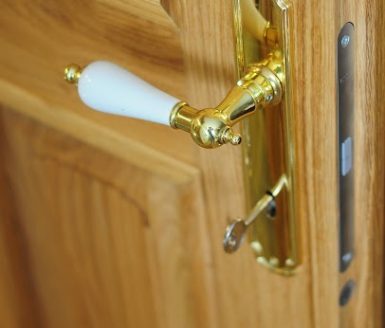 On the door leaf we install three pairs of hinges, basically for the interior doors we use classical hinges, which are both screwed into the door and the frame by two contact points. 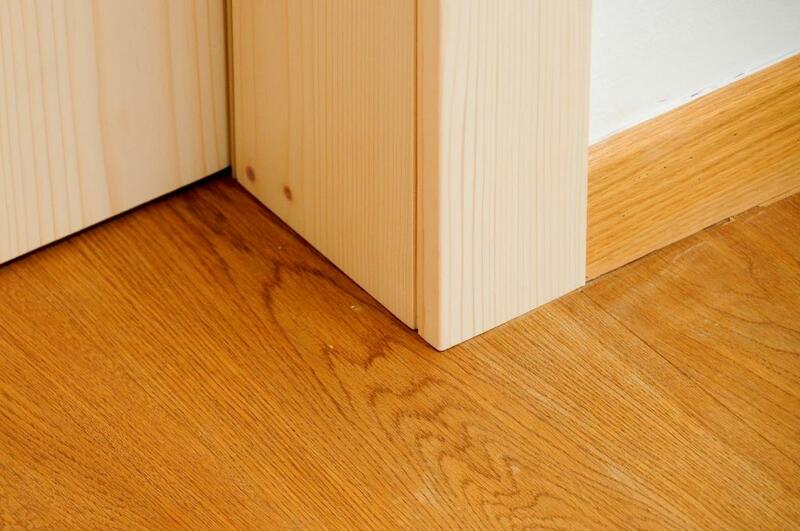 This prevents slopping and bending hinges. 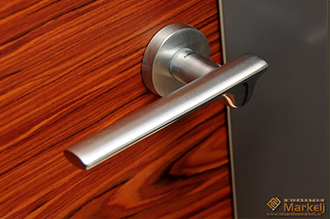 The hinges are easy to adjust by means of triaxial control, do not cause noise and do not require special maintenance. 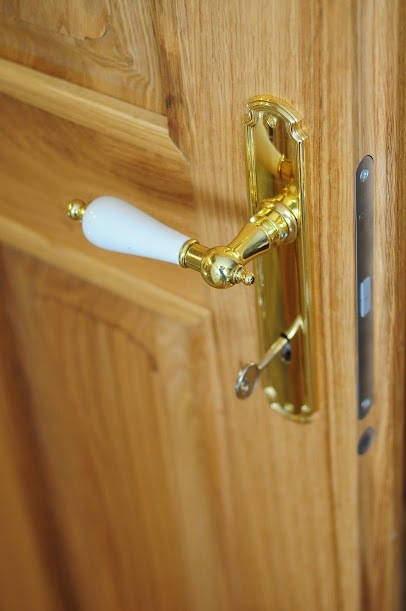 As well as we use hidden hinges with the same specifications. 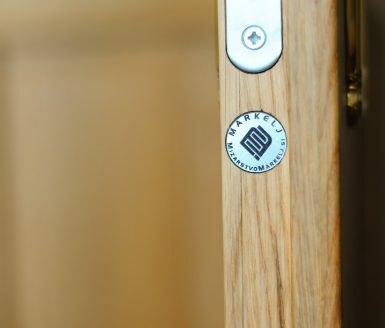 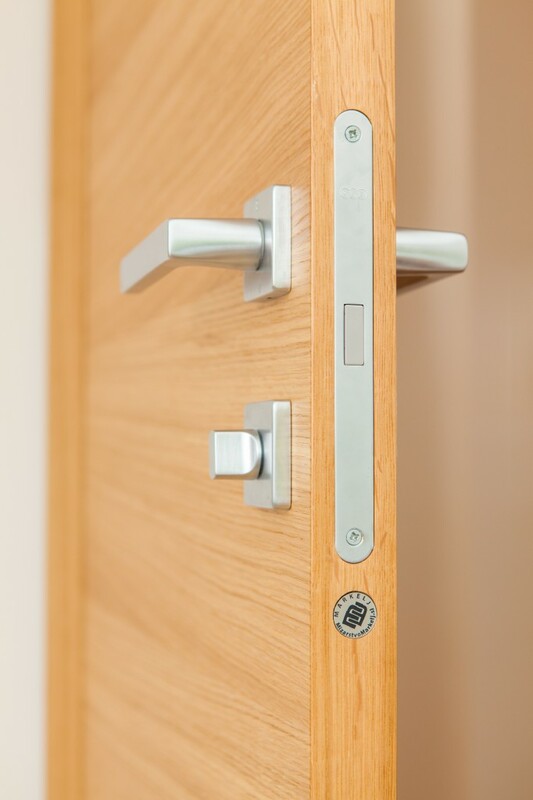 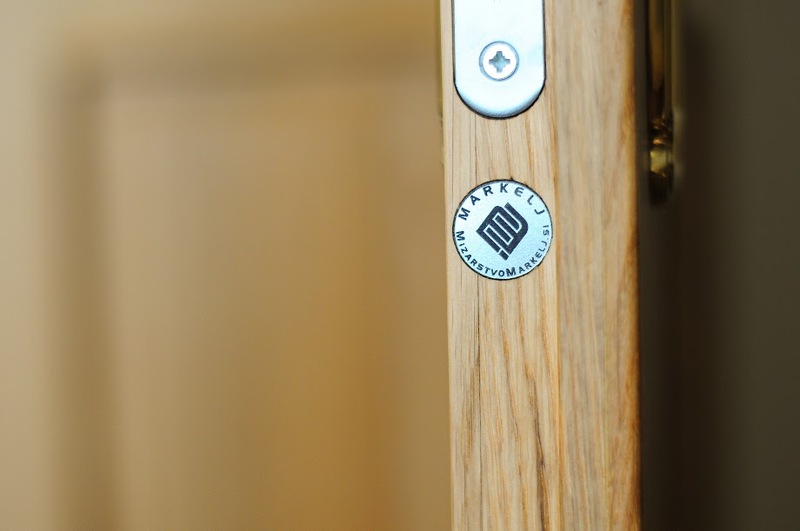 A magnetic lock is installed in all our doors as it doesn’t cause noise and prevents “slaming”. 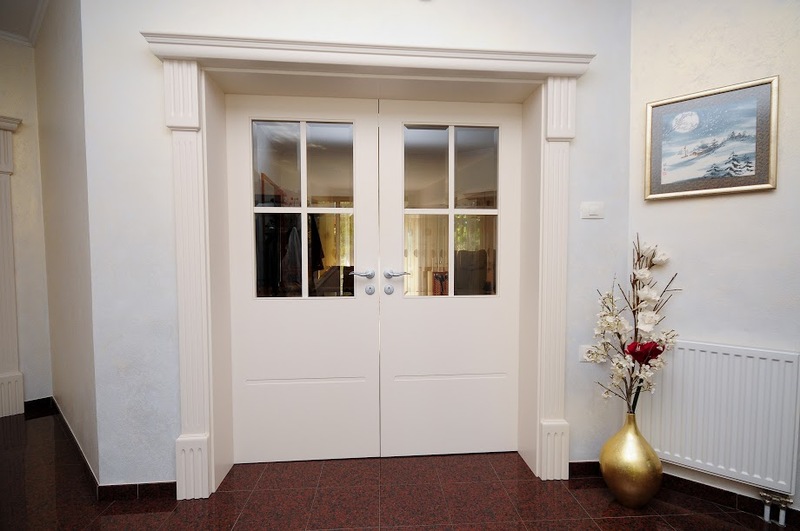 We offer door frames which cower old metal frames up. 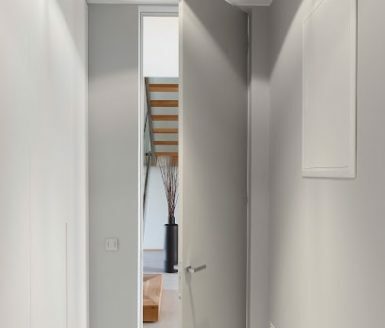 This is an elegant solution to cover up old metal frames.